How Much Does Domino’s Pay? How Old to Work at Domino’s? Domino’s careers are not only fun, but they allow you to quickly move up the ranks. You’re working around everyone’s favorite food – pizza! Domino’s first started out as a single location in 1960. It quickly grew to over 5,200 pizza locations in the U.S. One of the most interesting things about Domino’s is that it was originally named DomiNick’s until 1965. Domino’s is a well-known pizza restaurant. In 2008, the chain also became known as one of the world’s largest sandwich delivery restaurants. The chain added lava crunch cakes and pastas to its menu in 2009. As of 2010 the chain rolled out an entirely new way they make pizza. That has brought them even more success. If you are looking for a career that is results-driven, fun, customer-focused, and rewarding, then a career at Domino’s may be the right opportunity for you. A great customer experience is at the center of the Domino’s mission. Each franchise works hard to provide the best service to customers. They also work to provide a wonderful atmosphere for employees to work in. Still trying to decide if Domino’s is the right place for you? Consider these fun and interesting facts about the chain. Did you know that there are more than 34,000,000 ways to create a Domino’s pizza? In addition, Domino’s delivers more than one million pizzas worldwide day in and day out. The fastest pizza maker that worked for Domino’s is Dennis. He can make a total of three large pizzas in just 34.36 seconds! All great pizza starts somewhere. Want to join the team at Domino’s? You are only a couple of steps away. Some of the available positions include customer service reps, delivery drivers, and assistant managers. There is a career choice for everyone, regardless of your experience. Would you like to learn more about the careers at Domino’s? The guide below will help you land the job of your dreams. Anyone interested in applying for a job with Domino’s can apply online. You can also apply in person with a paper application. The preferred and most common way to apply is via an online application. Domino’s offers a wide range of jobs and careers. They include delivery driver, delivery expert, customer service representative, warehouse team member, and production team member. The Delivery Driver is an important position at Domino’s. This team member ensures that the customer’s pizza arrives on time and fresh. Delivery drivers are responsible for operating equipment within the restaurant to create, cut, and box pizzas and other products when necessary. The Delivery Driver will deliver pizza orders to customers throughout the delivery zone while making sure that deliveries are on time and the pizza is delivered fresh. A good candidate for this position is someone who has good navigational skills, is a good driver and wants to please the customer. The Delivery Expert is responsible for making sure that all pizzas and pizza orders are correctly made and then delivered to the customer per their instructions. A Delivery Expert is someone who has experience as a Delivery Driver and wants to move up in the ranks. The Delivery Expert is handed additional job duties such as helping to make the pizzas, clean up the restaurant, and take telephone orders when customers call in. A good candidate for this position is someone who has superior navigational skills, has served in the role of the Delivery Driver and wants to provide fast service to Domino’s customers. A Customer Service Representative is the face of Domino’s. In this position, you are the individual that customers speak with when they arrive at the restaurant’s location or when they phone in their orders. Some of the job duties of a Customer Service Representative include taking orders from customers, taking inventory of the ingredients and products in the store, cleaning the equipment, preparing pizzas and other food products and stocking ingredients when delivered. The ideal candidate for this position is someone who likes to work with the public and provide excellent customer service. The individual should be able to maintain a fast work pace and have an outgoing personality. The Warehouse Team Member is responsible for the day-to-day activities within the warehouse to include loading and unloading delivery trucks, storing and putting materials away as needed and helping the production department when needed. An ideal candidate for this position is someone who has basic computer skills, learns quickly, and can work within a loud environment. The Production Team Member is responsible for making sure that Domino’s has all of the products needed to create and bake delicious pizza. In this role, you will assist the production team in the manufacturing and processing of pizza dough. Production Team Members will also help wash trays and assist wherever else they are needed. An ideal candidate for this position is someone who is focused, team-oriented and someone who is able to read machinery, gauges and record the proper data. Domino’s manager jobs include an assistant manager position and a general manager position. The assistant manager is responsible for overseeing everything within the restaurant during their shift. In this role, you are responsible for the cleanliness of the store, customer satisfaction and inventory control. As a general manager, you are responsible for making sure that the restaurant functions properly and maintains a strict code of work ethics. In this role, you are responsible for all cash that comes into and out of the building, inventory, scheduling of employees, food management, employee issues and customer relations. You must follow all of the store policies 100% of the time and always expect your crew to do the same. Domino’s offers a competitive pay structure to all employees. Full-time employees are offered additional benefits to include time off, educational incentives, bonuses, health benefits, 401k options and more. One unique program that Domino’s offers to its eligible full-time employees is a wellness plan that allows employees to earn credits towards their medical plan premiums. Domino’s lowest paying position starts at $7.50 per hour and when compared to other pizza chains and the current industry, Domino’s pays a competitive and fair wage to their employees. Hold Old Do You Have to Be to Work at Domino’s? 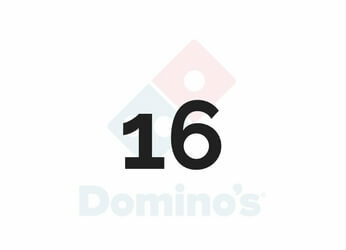 Most positions at Domino’s do require that applicants are 18 years of age or older. However, to be a Customer Service Representative, you only need to be 16 years of age or older. Drug testing can vary depending on the Domino’s location. It is up to the franchise owner of each location as to whether or not they choose to drug test their employees. However, on the application, there is a signature page that requires you to agree to a drug or alcohol screening at the time of employment and at any time throughout your employment with Domino’s. Did you manage to land an interview with Domino’s? Awesome! Below, we will provide you with some tips and information for the interview process at Domino’s. Why Do You Want to Work for Domino’s? This is one of the most frequently asked questions during an interview and you must be prepared for it. 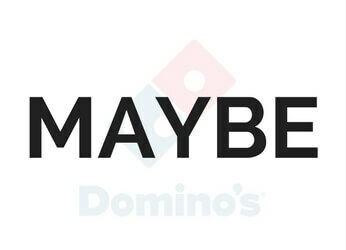 To answer this question, think about the many reasons why you love Domino’s. Maybe you like their pizza and you want to be able to serve their local customers. Or, maybe you have a great personality and you want to showcase it while working for the brand of pizza you love to eat. Remember, keep it light and fun, but do make sure you let the manager know why you want to work there and how you can add value. What Would You Do if a Customer Called and Complained about Their Pizza Order? Often times, you will run into a customer who is unhappy with their order. You may be asked how you would handle this situation. First, stop and think about how you would want to be handled if you were the caller. Then, offer some suggestions such as a free pizza on their next visit or a discount coupon. Above all else, remind the manager that you would be patient and ready to help the customer to ensure he or she is happy by the end of the call. Why Would You Be a Good Fit for Domino’s? This is the time to showcase you as a person. If asked this question, do highlight your skills and let the manager know how you would add to their team. Let them know that you will go above and beyond for customers, be a team member, adhere to Domino’s policies, and remind them that you will always put the customer first and your goal is customer satisfaction. You should never arrive to your interview empty handed. Always bring a copy of your resume with you and never assume that the manager will have a copy of it in hand. You should also bring your ID, social security card, and any other relevant information such as your insurance card, should you apply for a driver position. Before you head into Domino’s for your interview, you want to make sure that you dress for success. You do not want to wear casual clothes and you do not want to go overboard in a full tuxedo or suit either. You should dress up in some slacks and a polo shirt or wear a dress or skirt and nice top.